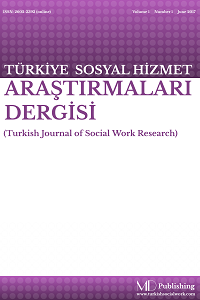 Turkish Journal of Social Work Research is an open access publication from MD Publishing. Being an international refereed journal, It publishes peer-reviewed, original research and review articles related to social work discipline. It also publishes articles aiming to advance the development of knowledge and inform social work practice. Our journal is open access. Anyone can read, download, copy, distribute, print, search, or link to the full texts of these articles.